A varied and well balanced diet combined with a healthy style of life is important to supply your body with sufficient nutrients. Calcium is needed for the maintenance of normal bones and contributes to normal muscle function. Vitamin D contributes to normal absorption and utilisation of calcium. 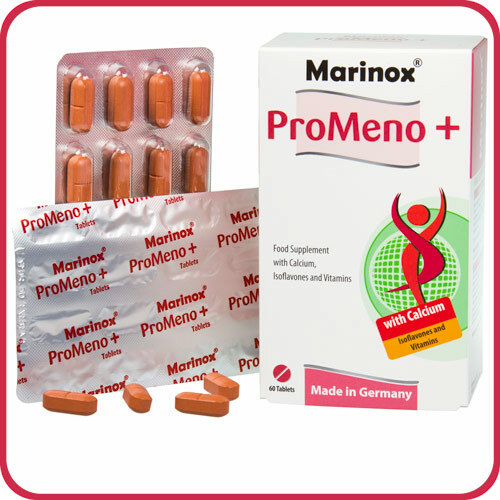 Vitamin D and vitamin B12 contribute to normal function of the immune system. 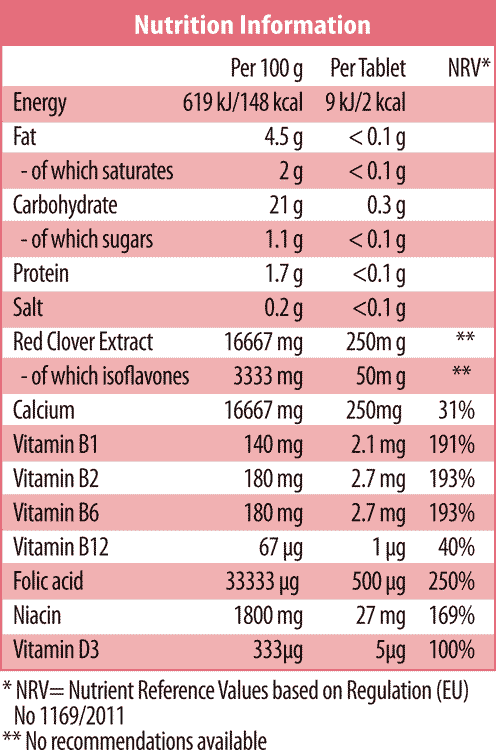 Vitamin B12 also contributes to normal energy-yielding metabolism and normal psychological function. 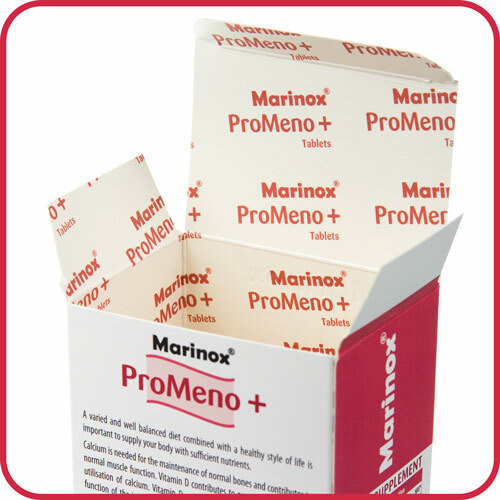 Marinox® ProMeno + contains folic acid and niacin, which contribute to the reduction of tiredness and fatigue. Niacin contributes to the maintenance of normal skin. 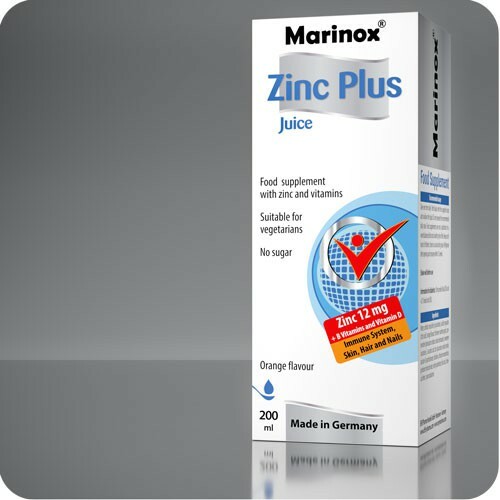 er (mono and diglycerides from fatty acids), nicotinamide, glazing agent: hydroxypropyl methylcellulose, lactose, talcum, humectant (glycerol), colour (titanium dioxide, iron oxides), riboavin 5-phosphate, pyridoxine hydrochloride, thiamine hydrochloride, folic acid, cholecalciferol, cyanocobalamin. 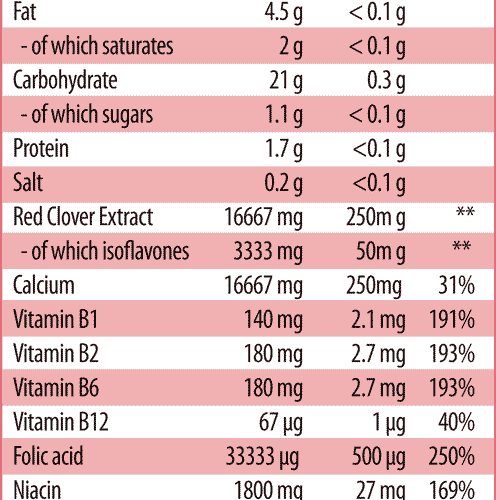 1 tablet provides 9kJ/2kcal and <0.03 bread units (BU).